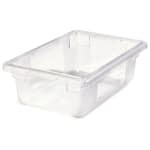 The Carlisle 1061107 StorPlus™ storage container is made of polycarbonate, and since it is clear, staff members can see the stored product. Top and bottom corners are reinforced to help prevent cracking and chipping, while reinforced, easy-grip handles support heavy loads. 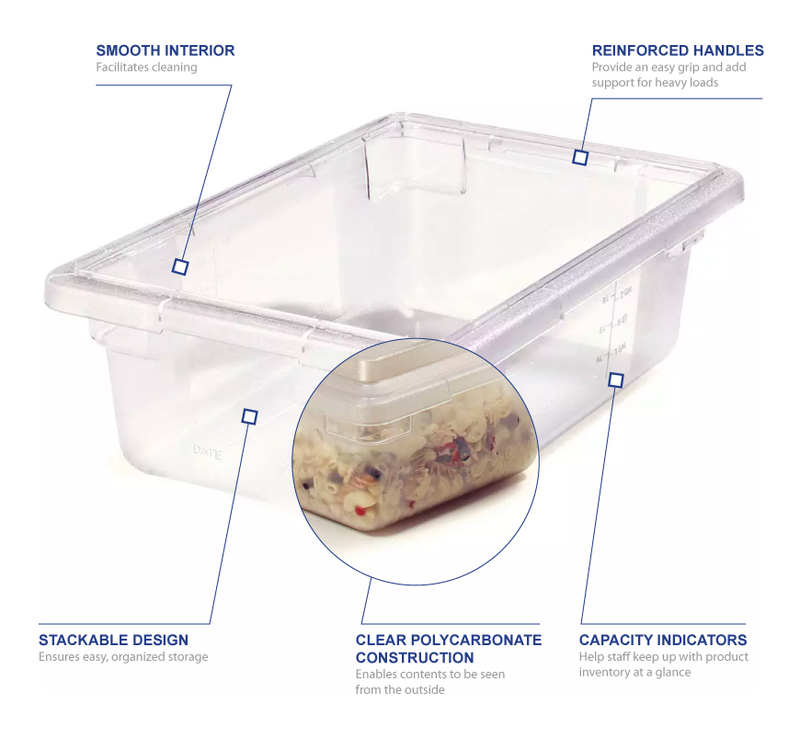 As many as 3.5 gallons of product can be held in the container, and capacity indicators enable portion control and inventory monitoring. 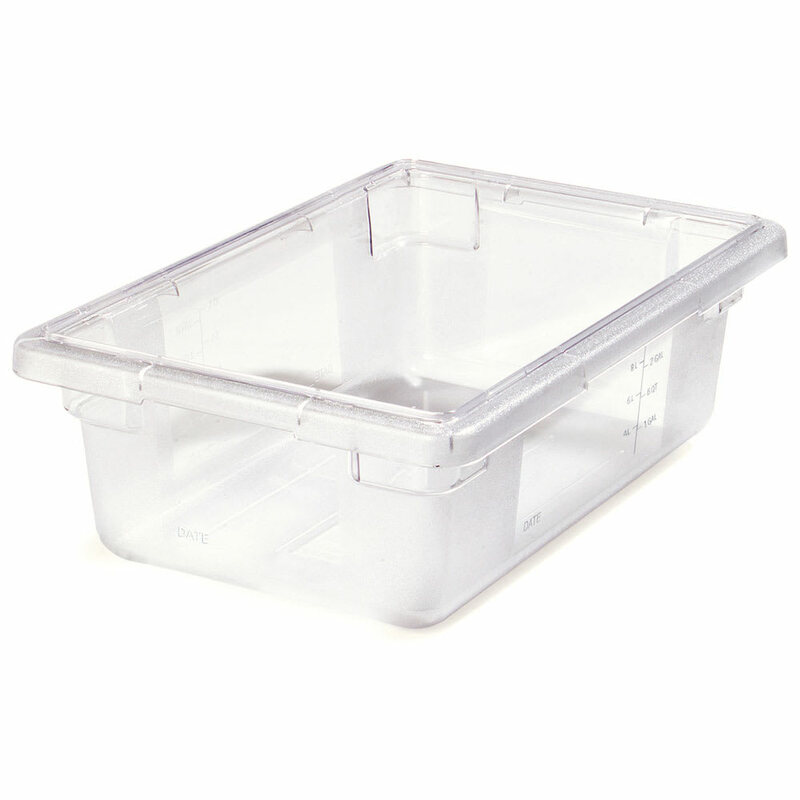 A smooth interior simplifies cleaning, while the Carlisle 1061107 StorPlus food storage box can be stacked to organize storage areas.